Back in 2011, we saw the release of the film THOR featuring Chris Hemsworth as the God of Thunder, later in 2013 we saw him return in THE DARK WORLD and save the earth with assistance from his brother Loki (Tom Hiddleston). Since then we have seen the God of Thunder return as a part of the Avengers series where he fought alongside earth’s mightiest warriors to defend the planet again from Ultron. Well, now we see him return to the big screen with the film THOR: RAGNAROK. But will the film which is the third in the series work as a ‘Marvel’ at the box office or will it like some of the other sequels fail to match up to the previous films. Let's analyse. First off, THOR: RAGNAROK starts off with the God of Thunder imprisoned on the other side of the universe. 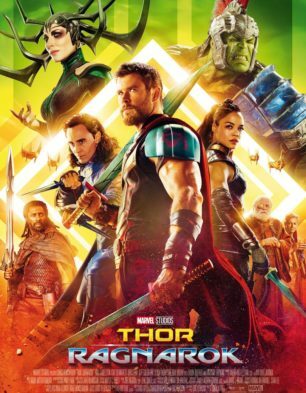 Here he finds himself in a race against time to get back to Asgard to stop Ragnarok, the destruction of his home world and the end of Asgardian civilization, at the hands of an all-powerful new threat, the ruthless Hela (Cate Blanchett). From here on the film follows Thor’s journey as he battles Hela with the assistance of his brother Loki and others. But will the Asgardian succeed in defeating the all-powerful Hela or will his world fall, is what makes up the rest of the film. The film starts off with a monologue by Thor who is being held captive on an alien planet in chains. From here, the film introduces Surtur voiced by Clancy Brown who explains that he is the reckoning of Asgard. After learning this, Thor who has of late been plagued with visions of his home world being destroyed promptly goes ahead and vanquishes his foe. One done, Thor heads back to Asgard only to learn that Odin (Anthony Hopkins) isn’t really who he seems to be. Post learning this, he then sets out on a mission to find his father and restore Asgard back to its glory. Thor accompanied by Loki finds Odin only to be told that his time has come, and along with that Hela the goddess of death will be released from her prison. Hela, who was once Odin’s right hand grew too powerful and her thirst to acquire the throne of Asgard lead her to be imprisoned. After Odin’s death, Thor and Loki come face to face with Hela, who proves to be too strong for them. In an attempt to flee back to Asgard via the bifrost, the two inadvertently offer Hela a ride back as well. While on the way back to Asgard, within the bifrost beam, a second skirmish breaks out which tosses Loki and Thor into the abyss. Fortunately, both of them land separately on the plant Sakaar. Here, Thor who lands much after Loki finds himself being held prisoner yet again, this time without the assistance of his hammer Molinor that was destroyed in the first fight with Hela. Sakaar, which is ruled by the Grandmaster (Jeff Goldblum), is a planet of the rejects who live to witness the gladiatorial fights that are a regular feature. Thor who has shown potential as a warrior is pitted against the Grandmaster’s champion who happens to be the Hulk. Thrilled at seeing a familiar face, Thor tries his best to get the mindless brute to assist him in returning back to Asgard to defeat Hela. In the meantime back on Asgard, Hela reigns supreme as she lays waste to the entire Asgardian army while resurrecting her own army of the dead. What follows is a grand battle between Thor and Hela with Asgard as the prize. Chris Hemsworth, who has reprised the role of Thor in the previous films as well, does a good job with the character. However, given the fact that unlike the previous films in the Thor series, RAGNAROK features a lot more colour combined with a fun comic elements that keep the proceedings peppy and fast. Tom Hiddleston as Loki is good in his part as the god of mischief; however it is Cate Blanchett as Hela who steals the show. Very rarely do you see a character developed with such power and menace that just the visual of her can make your hair stand. The last time a character like this was seen on screen, it was in The Dark Knight with Heath Ledger essaying the role of the Joker. Due credit goes to the writers of the film who have done a marvelous job of interweaving a back story for Hela into the film’s proceedings without diverging from the current track. Another point to mention here is the background score that keeps up the tempo to match the on-screen visuals and the constant exchange of witty lines that makes the film a fun watch. Coupled with the performances, the VFX team have done an equally brilliant job of bringing a fantasy world to life. From costumes to the massive explosions and the larger than life action sequences, the team has done a stellar and seamless job of merging live action with CGI. 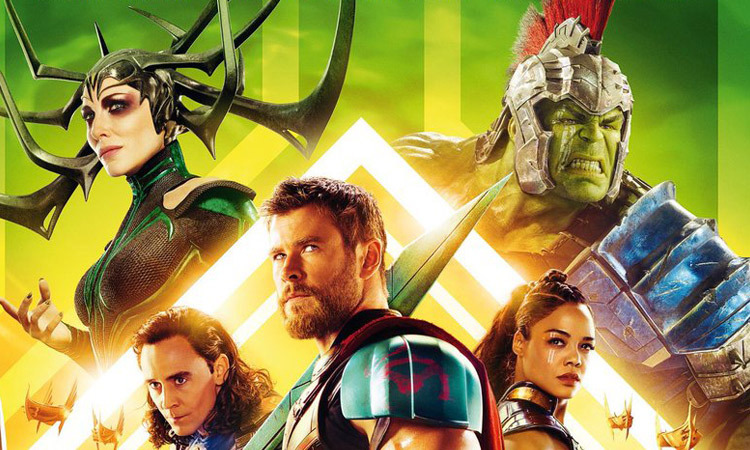 On the whole, THOR: RAGNAROK that features witty one liners, sarcastic humour and plenty of action makes for a fun watch. Well timed comic sequences and well-choreographed action sequences aplenty make the film a perfect masala entertainer. At the Indian box office, THOR: RAGNAROK stands a good chance of posting impressive numbers given that it's releasing on a big scale and in multiple languages.